This entry was posted on July 20, 2014 by Shahd Abusalama. 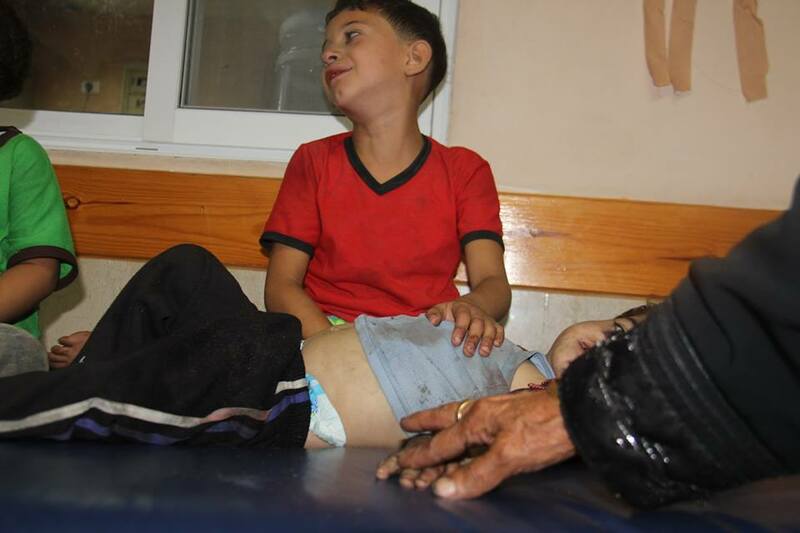 It was filed under Life in Gaza and was tagged with #GazaUnderAttack, Gaza, Israel, Protective Edge. Dear sister, my family is crying now with you and your people. There were pro-Palestinian demonstrations in our capital Sarajevo yesterday.Our harts and souls are with you. We can’t do much more…that’s the worst. It’s like watching our war again. I saw the video, that SOB Abbas, having his big public iftar with the turkish president…But i told you, we saw all that in the 1992-1995.’s war here in Bosnia. Demonstrations, rich Arabs and Turks “collecting money for our cause” (all of that money finally went to our abbases and traitors, nothing to our army).,etc. They won’t help you, nor they meant to help us. We do only pray for you all, your family, your nation and you, all this time. We won’t stop, don’t you even think of stoping too. May god show love and care to all the people of Gaza. We all are praying for this massacre to end soon. Salam Shahd! Many people in the West support and empathise with the people of Gaza at this time. But we have a problem: our governments, media and vested interests have their own ideas, and foreign policy is not under democratic control. This is big and serious, but it’s not going to get solved in the short-term, while the atrocities in Gaza are taking place. So there are many people here who feel frustrated, keeping quieter than we should. But there are many people praying for you, and something is happening underneath. With all the problems going on in Syria, Iraq, Egypt and elsewhere, people forgot Palestine and it got pushed down the ‘public concern list’. It’s now back up again, at least for ordinary people. But our media have successfully hoodwinked people into believing that Israel and the Palestinians are equal partners in conflict, and it is this fundamental dishonesty that needs to change. But remember, there is a lot of solidarity amongst many of the ordinary people of the West (especially younger people). Allah be with you in your time of need, and bless you – yourself and all of your people. Palden. Shahd, my heart, my tears and my anger are with you. My government is heartless and blind if they think Israel has cause to kill so many innocent people because of a few rockets from Hamas. Hamas is right to ask for Gaza to have its borders returned to its control and free access in and out of its people, goods and exports and to have its citizens treated as all others are on this planet. You are being slaughtered like sheep in a pen. It is disgusting and shameful. there was a huge demonstration in london for you at the weekend and in france and other western capitals….but the governments are blinded by Israel’s rhetoric of self defence….which is outrageous. We all continue to try to persude our useless governments to act in your defence. The Israeli government will never get peace this way. they are genocidal and have the taste or the blood of the innocents. I pray you will all stay safe and that they will be made to stop….but Hamas is right to ask for Israel to grant them basic rights like every other country. I hope that one day the israeli zionists be punished for this. My heart and prayers go out to you, and all of the people of Gaza. I am a university student in the US, and we are protesting in cities big and small across the country. My fellow students and I are appalled by the tragic loss of innocent life in Gaza. It is not the people who are not in solidarity with you, but rather our media and government that grossly ignoring the Palestinian people. Some US media outlets are not even broadcasting the protests going on in their own communities. Palden in very correct in what he said about the government essentially not representing the opinion of the people. Palden is also, unfortunately, correct about how this is not going to be fixed over night. Students like myself are here to be the voice for the people of Gaza who have lost theirs. Thank you for reporting the truth about events in your homeland. We seldom get this news here. Take care of yourself! First off, you need to look up the definition of ‘genocide’ for this is not it. That word sounds great for propaganda purposes but distorts truth. What this is, is war. This is what it is always like, women, kids, innocents die which is why most people try to avoid a war. If the people didn’t leave the homes when they were warned (I mean if it was genocide, would there be a warning? No.) whose fault is that? Both sides share some blame in the conflict erupting. Israel with its stalled peace process and Hamas lobbing rockets non-stop into Israel. The fact that Hamas fails to kill people doesn’t mean they haven’t tried. They try to kill women and children but fail. War is NEVER proportional nor fair. Whenever people there reach the point they want to stop bragging about martyrs and worry more about living; whenever they reach the point that they own up to their own responsibility in the situation and quit treating war like it is a game; then and only then will you have a chance to resolve the conflict in a peaceful situation. Until then, I’m afraid your situation will grow more peril. I say this with no malice and hope you and your family stay safe in the current conflict. Assalamu ‘alaikum wa rahmatullahi wa barakatuh. @Jett I’ll pray to Allah to make you feel a little bit of “war” in your own house. Don’t you worry, just a little unproportional and unfair one-i won’t ask for something unusual. And you know what, you are right- the war IS NOT really nothing like this genocide in Gaza. Thanks for pointing that out. And i’ll pray that you’ll get even the warning for your war, just to evade any possible confusion in your head. And i say this with no malice, it’s a great way to learn things, you’ll see! :-) And don’t you use “assalamu alaikum” here, you little SOJ, better say “good morning, tel aviv”. You should enjoy every single moment now, dear, ’cause the rest will be..fire. Pingback: More than 220 Ukrainian Jewish immigrants land in the Occupied Palestine | News-Press-Liberty With Responsibility! …. where’s the world demanding that this stops?? The genocide continues unabated! #FreePalestine …..